PCSchool Payroll has released the new Tax Tables for the Australian 2012/2013 tax year. Once all pays for the 2011/2012 tax year have been completed then perform this followup. You can still perform the followup regardless of whether you have printed your Payment Summaries as historic data will not be impacted by this update. Download the followup and extract the files to \pcschool\programs on the server. These should then automatically flow down to user clients machines when next they run PCSchool. You can down load the tax scales for Non SQL schools. Down load the file and extract contents to \pcschool\data on the server. If you run Multi Workareas you will also need to extract to those workareas eg \pcschool\other workarea name also on the server. While all care has been taken PCSchool takes no responsibility for the accuracy of the data tables supplied and it is each users obligation to test the accuracy of the Tax Calculations performed by the program. Once the update has been installed go to Help About within the Finance Module and check your version number. 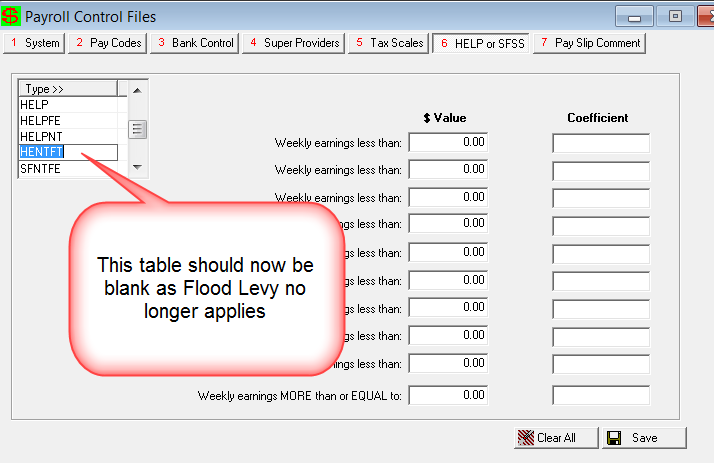 Tax tables are no longer impacted by Flood Levy. It may be necessary to alter some employees Tax and HECS tables. 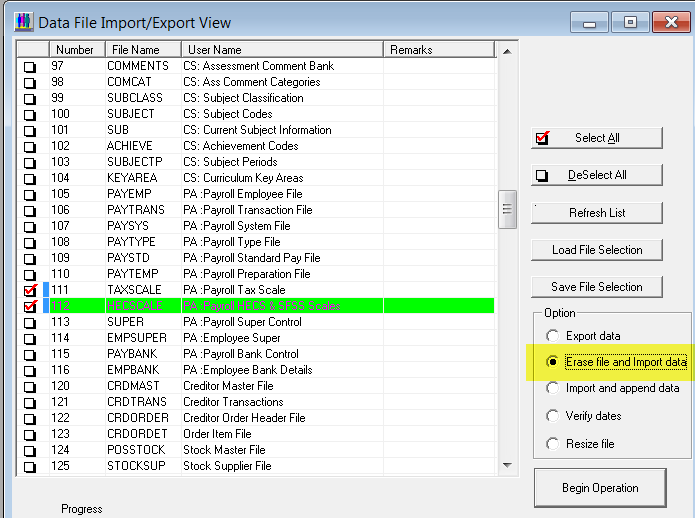 This entry was posted in Finance, Payroll by studentmanagementsoftware. Bookmark the permalink.